Yep – on a food blog. Yep – writing about how to start a capsule wardrobe. Like, seriously – who is in charge of the editorial calendar around here? Me, actually – and I’m going a little rogue on you today. But it all makes sense, when you think about it. For me? It was to spend less time and money on clothes. I mean, come on. Look around this site. My great love in life is food. Clothing and fashion and shopping are not my great loves, which is why a capsule wardrobe (a very small collection of useful clothing that you love that changes with each season) IS VERY MUCH one of my great loves. Let’s play True or False. You are a ____ person (in my case, a food person) who cares very deeply about your thing. But that THING is not necessarily clothes. Even with a closet full of clothes, you end up wearing the same three shirts over and over again. You are known to say things like: “I have nothing to wear.” When, in fact, you have lots of things to wear, but for some reason you just don’t want to wear any of them. Sometimes you find pieces of clothing in the back of your closet that still have the tags on them. Woops – guess you never wore that one? You have been known to buy ill-fitting clothes off the clearance rack, because CLEARANCE. Finding the time, energy, and money to put together a perfect (and affordable) wardrobe is overwhelming, sooo you just wear one of your three regular shirts again. You want two things in life, really: a) to look pretty good most of the time without really having to think about it, and b) to spend the saved brain space on other things like, just as an example, MORE FOOD. Once you have a capsule wardrobe, GETTING DRESSED BECOMES SO EASY. Oh my gosh, you guys. I cannot stress this enough. That dreaded standing-in-front-of-the-closet moment each morning turns from a 10 minute ordeal into a 10 second decision. Simplifying my mental space is the #1 reason why I love having a capsule wardrobe. I have clothes that I love. I almost always want to wear ANY of them no matter the day or the occasion. They fit me well and I feel comfortable. And I don’t have to think about how to put together outfits. AT. ALL. Okay, first and foremost, there are no rules. Seriously. No rules. That being said, I like rules a little bit, so these are my loose rules. That’s about it. Besides what I’m calling my base wardrobe of pajamas, workout clothes, and layering pieces, my capsule is made up of 19 pieces per season: 9 shirts, 5 pants, 5 shoes. When was the last time you went through your clothes and cleaned out what was in your closet? If it’s been more than a year, then this is your first order of business. Don’t even try to capsule just yet. 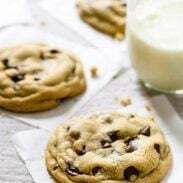 Take one or two hours to pull out the things that you know for sure you aren’t going to wear and get them out of your closet and then celebrate your tidyness with a cookie. Don’t get rid of them just yet if that makes you nervous – but at the very least, bring them to a different room. Building a capsule is a lot easier when you’re already working with a reduced amount of clothing. Step 2: Establish your Base Wardrobe. First of all, I just made this up, okay? As far as I know, there is no such thing as a Base Wardrobe in capsule wardrobe land, but I just it made it a thing. Let’s go. A Base Wardrobe is, believe it or not, YOUR BASE. This isn’t your bank of clothing to draw daily outfits from. This is just what you need for the categories of use in your life BEYOND day-to-day dressing. I built my Base Wardrobe around the concept of 50 total pieces that would not change throughout the year – 10 in each of 5 different categories. Honestly, a few of my categories include more than ten items. Like workout gear is probably more like 15 because it includes everything I need for running outside in all seasons. And formal / accessories includes a few dresses, a few shoes, scarves, and necklaces – probably also totaling 15 items. But that’s okay because hard and fast numbers aren’t really the point. The point is to reduce reduce reduce and identify a clear use for each piece that’s in your base. Again, just to be clear: the base is NOT where you find your day-to-day clothes. The base is all the other extra stuff you need to do things like sleep, work out, and go outside in the cold. Store your Base Wardrobe in a separate place from your capsule (I keep my base wardrobe in my dresser and my capsule wardrobe in my closet). Mental cleanliness, you know? Remember – the Base Wardrobe does not change throughout the year, and it does NOT include your daily outfits. It is your clothes that you really need to have for one certain, specific thing (like sleeping or working out). Step 3: Build your Capsule Wardrobe. This is where things get fun because the “capsule” (not the base) is where you get your day-to-day outfits from. I find it helpful to use a printed guide for this part. You can download the guide I use for free by clicking here. Active: gym, kids, on the go, etc. Dressy: formal events, concerts, etc. Fun: restaurants, date night, etc. Lounge: movies at home, baking, etc. Daily: groceries, errands, work-from-home, etc. The ones that are most relevant to my lifestyle right now are the ones I’m calling Fun, Lounge, and Daily. These categories involve lots of jeans, boots, and tops that are comfy enough for me to actually want to wear while working from home and cooking – but also sometimes cute enough to wear out to a restaurant or event with friends. I don’t dress up a lot, I don’t work in an office, and I’m not running around with kids all day. So Fun, Lounge, and Daily describe my life best right now. How easily you could create an outfit with them based on the other pieces in your capsule. Example: You have a hot pink sequined top that is a 7/10 on the cuteness scale. You mostly like it. And you *might* wear it this year at some point. But (1: CATEGORIES) your categories are Active, Lounge, and Daily, and (2: FIT) the top is a little bit too short, and (3: EASE) you don’t have any shoes to go with it. Verdict: No. Not a valuable part of your capsule. Example: You have an expensive long sleeved shirt. (?) You want to keep it. Should you? Ask yourself – (1:CATEGORIES) your categories are Work, Fun, and Daily, and (2: FIT) it’s a little too tight, and (3: EASE) you could wear it with just about anything. So in some ways, maybe you would want to keep it (it goes with the other things in your capsule) but if it were me, I wouldn’t keep it because of the fit factor. I would probably be uncomfortable every time I wore it, so that’s a NO for me. If you know that you won’t want to wear it because of fit, DON’T PUT IT IN YOUR CAPSULE. You only get 9 shirts (and 5 pants and 5 shoes). All of them should be shirts (and pants and shoes) that you would be happy to wear at any given moment. That’s kind of the ultimate litmus test in my mind. Would I like to wear this right now, TODAY? If the answer is no, then it probably doesn’t belong in my capsule. That sequined top and the long-sleeved shirt? Don’t get rid of them yet – just put them aside, out of your closet, so that they doesn’t hold you back from creating a capsule wardrobe. I know. Even though you are feeling all OH NO WHAT IF I NEED MY SEQUINED TOP FOR THAT ONE EVENT NEXT YEAR? don’t panic. Just move them outside of your closet. If you need them, they will still be there. Use this printed guide. I made it specifically for this version of capsule-ing and I think it’s pretty helpful. Think about your tops in threes. For example, three sweaters, three button-down tops, and three wildcard tops. WILDCARRRRD! It helps to categorize, and I am not above just buying three of the exact same tops in different colors once I find ones that I love and that fit really well (see picture above – Merona boyfriend cardigans and Express button-down shirts). If this is your first time, don’t buy new things yet. Try to just create a capsule based on what you have. You don’t want to this to just evolve into a you-taking-yourself-shopping moment. Give it time, let it be flexible, enjoy the freedom, and (again) don’t buy new things unless you really need to. Let it simmer for a hot minute, okay? I had a hard time with that the first time I did this (fall 2015) and I wanted to go out and buy all the pieces I was “missing,” but I held out and I’m glad I did. I love having a capsule. LOVE LOVE LOVE. Cannot stress enough. If you love to not think about clothes, and you love to look good while (not) doing it, then the capsule is for you. I guarantee it. Pst! My way is not the only way. Maybe that was obvious? 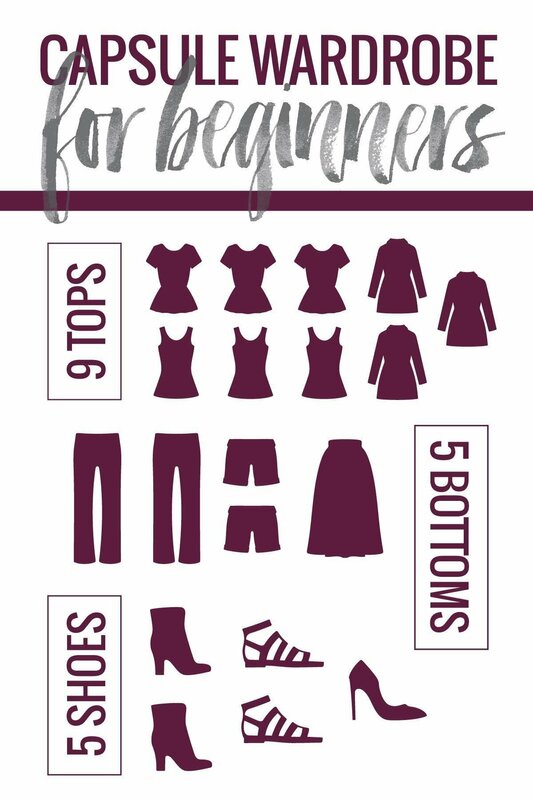 –> And in case you missed it, click here to download our free printable guide that will help you start your own capsule wardrobe! What a cool post! Since I worked in clothing for about 10 years, I always have such a hard time giving clothes away. I have so many shirts I’ve worn twice and now just sit in my closet, but since they’re practically new, I always keep it like a hoarder. I’m really loving the trendy minimalist philosophy that is so popular now. I just need to work up the courage to actually purge…wish me luck! Just an interesting note. While Caroline at UnFancy did popularize the capsule wardrobe (and in a very stylish way), if you check out bemorewithless.com or project333.com, you will see that it has actually been around a long time online with many people doing it. I actually found out about capsule wardrobes right after Courtney’s first Project 333 challenge way back in the fall of 2010. Project 333 was even featured in O magazine the same month Caroline started blogging at UnFancy. 😀 So the concept has been around in blog-world for a while. It was around 30 years ago. I remember checking a book about capsules from the library when I was just out of college. But this has just revolutionised the clothes-thinking part of my brain. It makes sooooo much sense. I’m glad rational/ sensible James made crazy/ impulsive James stop and read this clothes themed post because… yes! Hey Lindsay! I enjoyed reading about your way of creating a capsule wardrobe! I’ve been capsule wardrobing more or less for over a year and I’m definitely a fashion fan more than a food fan (though I obviously love great food 😉 ). I’ve just started doing something a little similar – I divided my capsule into 2 categories: the Foundation and the Extras. Foundation is full of pieces that are 100% me and look, fit and feel great. From the most part these are in neutral colours and just on their own look a bit sad. Which is where the Extras come in as that’s pieces with pattern, print and colour to complement the foundation. Basically my foundation stays pretty much the same all year round except for some warm weather adjustments where I won’t need as many sweaters and will need different shoes. The Extras category changes – not all of it, but it’s a place to try new trends, colour combos and to just have some plain old fashion fun. I think dividing the wardrobe into two different categories like you and I do, even if our criteria are a little different, helps with the whole concept. Well, you seem very excited about yours and I for sure am excited about mine 🙂 Thanks for this post! I am so impressed to find such a useful and simple to follow style post on a food blog! Though maybe I shouldn’t be as your recipe posts are always so informative and accessible. Definitely referencing this for later! This post couldn’t have come at a better moment for me! I’ve been thinking about doing this capsule wardrobe thing for quite some time, but never managed to find the right step-by-step guide…until now! Just so you know, I’m printing your post as we speak, and I’m launching the experiment tomorrow! Wish me luck 🙂 and thank you sooooo much for sharing! I haven’t read all the comments so I apologize if I’m unnecessarily repeating what others have said. The Base Wardrobe is awesome. Probably the most brilliant addition to th Capsule wardrobe world I’ve come across. I just started my own capsule project and while I’m already using this concept the way you’ve laid it out is very helpful. It takes into consideration those times we all have that may only be worn once or twice a year. Red blouse for holiday concerts I’m looking at you. For me outerwear is dictate by weather and I don’t over buy in that area so I didn’t feel the need to count it in my normal capsule. Right now I have a 21 item capsule but for this time of year I could do less. A sweater and jeans or cords everyday is fine with me. I’m a musician and SAHM so my base includes concert black which I pretty much wear the same stuff year round. I would include shoes in my base because since I have wonky feet this is another area I don’t over buy. I’m not standing in front my closet trying to decide which shoes to wear. Same with jewelry and accessories. I’ll stop babbling. Just had to say what a great post this is! This is such a nice, simple explanation! I’ve read about capsule wardrobes before, but now I’m actually inspired to want to do it. I hate getting dressed and the daily “I have nothing to wear”. Thanks! I cannot wait to do this !! I’m so glad you blogged about this and have printed sheets. Please blog about this type of lifestyle change— I love it, along with your food too !! This post is EXACTLY what I need! I’m moving to Australia for a year in September and honestly the most daunting prospect of moving to the other side of the world is trying to compress my overflowing wardrobe into one tiny 20kg case – eek. These tips will definitely come in handy for a serial over packer like me, thanks so much for sharing! If you Purchase a shirt for $30 you must wear it 30x’s . It was quite funny when my 32Yr old daughter was insisting her8yr old daughter use this rule. My kids knew not to bother asking unless it came Off the sale rack. I still use this rule for myself. I can’t remember paying regular price for much except maybe when shopping for clothes at Costco. Use the Capsule concept for starting and then the $1 rule, to maintain. This doesn’t work well unless one gets warm or cool or Season done first. There’s no point in doing black and white as you’re Base colors if You look like death in black. Unless you want to wear scarves all the time. I started with navy and off white. It’s probably the hardest base. Until I realized that ‘s the color Of denim. The first color I threw in was Blue. Then purple. Over the years I started wearing black as long as its not close to my face. As in Below the waist. Yes, I needed this! Thanks for posting! Reading about this makes me feel sad. I don’t know if I even have enough clothes and shoes to make it work 😉 I do feel I have enough though and there is rarely a time that I have not something to wear, unless I haven’t done my laundry for two weeks! For the record I change my outfit every other day. Maybe I am doing something wrong?!?!? Linds! You did it. Love your base layer addition to the capsule wardrobe way of life. This is totally inspiring and I may get to it sometime in May (let’s be real; I still have laundry from mid-DECEMBER to put away because life has been so crazy the last 3 weeks.) Along with my girl Tsh, here’s a hearty cheers to minimalism in the capsule wardrobe form. This year I started a closet challenge: 1 year without buying clothes. Maybe I could try a capsule wardrobe next year. I’ve heard that it works wonders for those who have done it! Good for you doing this! I’m saving the post to have it as a guide. dear Lindsay: I just discovered your blog yesterday and I’m hooked. I’ve been browsing all morning for recipes and somehow I’m now cleaning my closet. so thanks? OMG! Love the article! I didn’t know this thing has a name! I’ve been doing this for the past 4 years or so and gotta say I love it! I stopped buying new clothes ages ago (I still find myself feeling like I’d buy this and that especially when entering the sales sections – because, yeah, that’s the most tempting thing. It’s almost impossible walking into a shop, seeing all those great offers and leaving the place without buying something!!). I try to reduce the amount of clothes by giving them away to charity or to my sisters (but nowadays they mostly say no because well they have their own taste in clothes and mine are apparently not that cool anymore,lol). I now buy what I need only and I feel very good about it! The saved money goes mostly for travelling and food. Great Post! I just completed this process a couple of months ago without having even heard of a capsule wardrobe. I just got tired of having all of those clothes and struggling every morning trying to figure out what to wear. What it comes down to is a serious reality check. Mine was “I don’t feel good in some clothes and I always feel great while wearing others.” Solution? Get rid of the clothes that you don’t feel fantastic in. I’m lucky enough to have a spare bedroom that I turned into a dressing room That is where all of my great clothes are. now Getting dressed is easy with this new arrangement. And the longer I go without wearing the things in my not so great closet, the easier it will be to get rid of them. My advise is to separate your great clothes to a place of their own and being totally honest. Thanks for your insight! I love it!! This post was extremely helpful and broke things down perfectly! Thanks! Maybe I’m late to the party, but I was really…REALLY looking forward to downloading your printable and going to work on my capsule wardrobe, but every time I click the link I get prompted to sign up for your email list and then get a Thank You page, but no printable. I’m happy to be on your list, but are you emailing this to me? Or should it have been a pop-up? Just a little feedback 😉 Can’t wait to get the worksheet and thanks for the post!! We’ll look into it for you! I love you for this. You just don’t know..